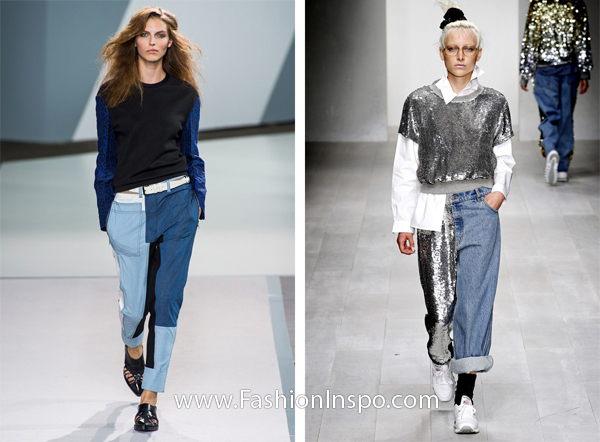 The fact that jeans are the most versatile garment in your wardrobe doesn’t necessarily mean that it could not be exposed to the innovation and transformation. 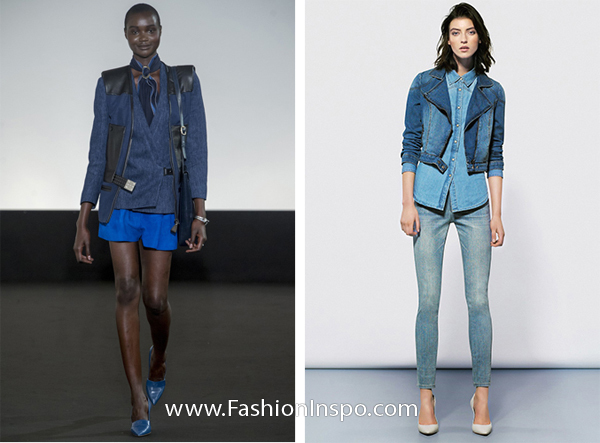 This Spring/Summer 2013 season promises to introduce fresh denim trends and rework our beloved styles from the past. Rich embroidery, striped print and patchwork are going to reign during this season. Lightweight, comfy and versatile, jeans are the best wear for the warmer days that perfectly suit nearly any occasion. Go wild with your denims – this season you shouldn’t play it safe. A lighter version of the legendary leather jacket worn with a plain t-shirt and jeans will bring an edgy and rock and roll feel to your look. Fresh rework of the classical skater skirt with washed out effect is going to be a hit this year. Throwing on the acid-wash skater skirt will return you back to the 80’s. Wear it with the contemporary garments for a trendy and chic look. Consider opting for jeans with rich embroidery on the sides or full-leg artwork. This way you will be able to make a statement with your original denims and stand out from the crowd. We are used to associate overalls with kids and farmers, however this season things will change as this effortless garment is going to rock, especially when styled with statement accessories. In the result you will get a refined and chic look. Pastels have become traditional hues for the warmer season and this year is not an exception. Easter egg-inspired colors will add a feminine and delicate touch to your outfit. Patchwork looks both fun and original. Want to impress with your look? 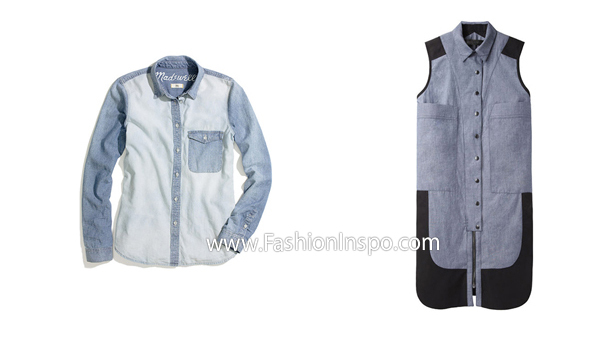 Simply opt for the denim item with patchwork and wear it with the clean cut item for the right balance. Even if you don’t have a well-shaped body for wearing the striped print, monochrome is the loudest trend of this season. So if you want to look stylish and up-to-date, opt for striped denim, which works best with neutral tops. 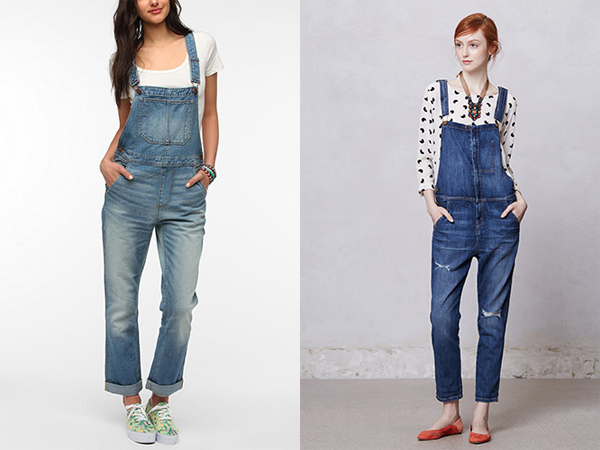 In fact denim is not only a casual wear, it could be worn to the office as well. Two-toned chambray tailored tops/vests are ideal attire to meet the dress code.